Connect and get in touch with erlebt - church for Potsdam. Small groups are a great opportunity to grow in your faith, share your life with others, and get to know God more. We meet every two weeks to enjoy community and enter conversation about our faith. We read the Bible, pray for one another, and enjoy snacks and drinks in a comfortable setting that’s always open for new people! If you would like to visit a group and find out more, contact us (kontakt@erlebt-potsdam.de). Prayer is practiced relationship with God — talking and listening to Him. We can address the Creator of the world. That is an incredible privilege for every one of us. We believe there is great power through prayer because God hears our prayers and works through them. 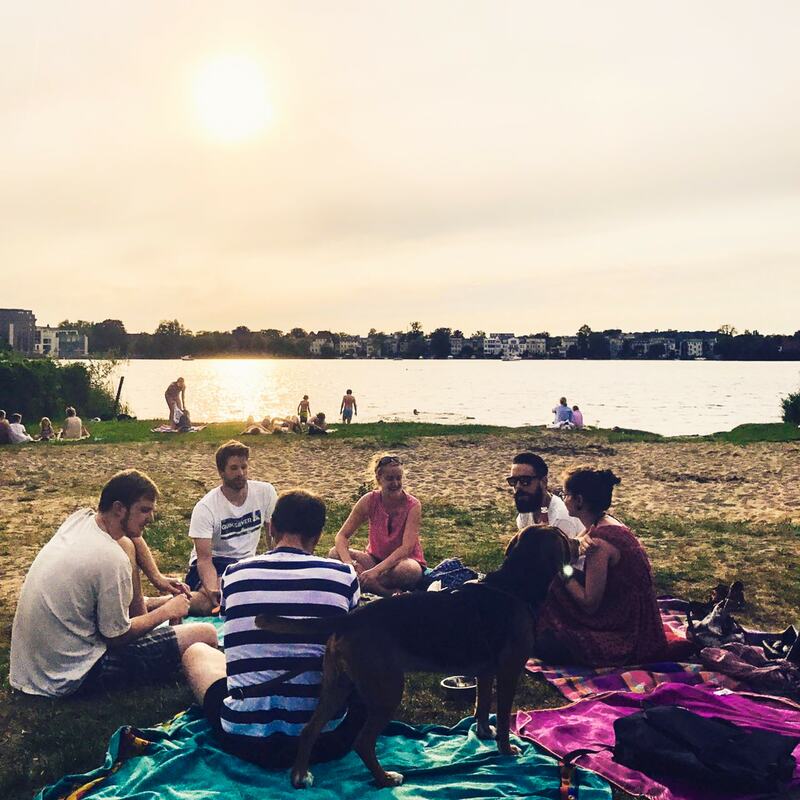 It is our wish that God is active in our lives, the lives of our friends, and in the city of Potsdam. For more information on the prayer meetings, contact Ralf Aumann (gebet@erlebt-potsdam.de). SHINE is the youth group at erlebt. Jesus exemplified the SHINE lifestyle and showed us what is really important in life. We take a look at who Jesus was and how He lived and allow ourselves to be inspired by Him in our own lives. Besides talking, we also play games and eat together. You are invited to come by and be a part of the experience. You want to know more? Then contact Ruth-Christin Ahner (shine@erlebt-potsdam.de). Maybe it’s difficult for you to believe in something supernatural like God. At the same time, maybe you sense that there has to be more to life. We think it’s worth confronting your questions, doubts, and faith. You are welcome to meet with one of the pastors and enter into conversation about your questions and beliefs. For a conversation about the faith please turn to christoph@erlebt-potsdam.de.